Please consider joining the Yolo County Retired Peace Officers Association (YCRPOA), which was formed in 2002 by Lee Refsland, Bob Jones and Doug Bera, and was officially incorporated as a non-profit organization in 2008, for the purpose of collecting funds to construct and maintain a permanent monument to honor Yolo County law enforcement officers killed in the line of duty. 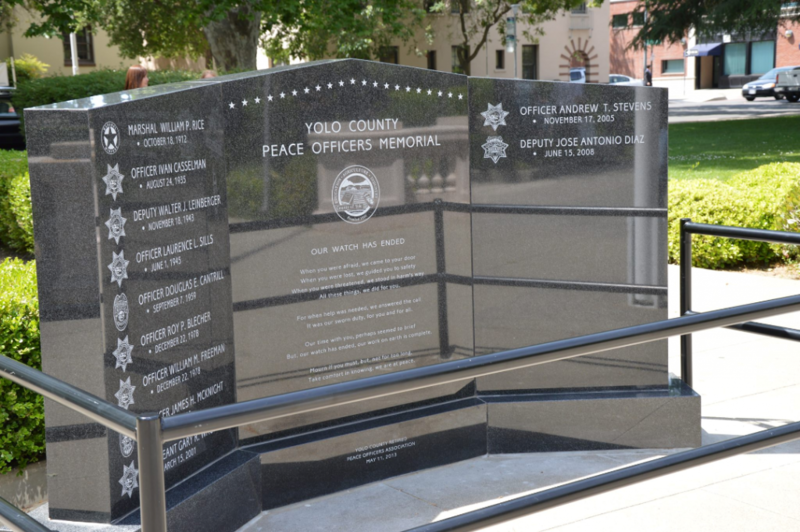 After years of fundraising, the YCRPOA achieved its goal, and on May 11, 2013, the Yolo County Peace Officers Memorial monument was unveiled in front of the former Yolo County courthouse in Woodland. 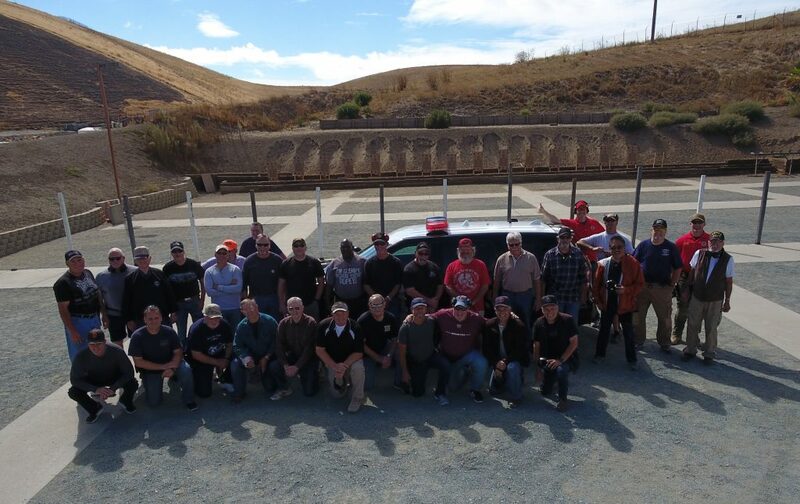 Each year in May, during National Police Week, the YCRPOA hosts a ceremony honoring Yolo County law enforcement officers, who have made the ultimate sacrifice, and whose names are memorialized on the monument. By assisting association members and their families in the time of need and distress. By providing support and assistance to others in the Yolo County law enforcement community in the time of need and distress. By providing scholarships and financial assistance, as well as, guidance and mentoring to students planning to pursue a career in law enforcement or public service. By promoting and perpetuating relations among its members and workers in law enforcement, whether retired or still actively serving. 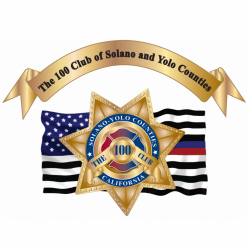 The February meeting will feature a presentation by representatives from the 100 Club of Solano and Yolo Counties, which is a local chapter of a national, non-profit organization, whose purpose is to provide immediate financial assistance to families of public safety officers and firefighters, who are killed in the line of duty; to provide resources to enhance their safety and welfare; and to further the education of their children. 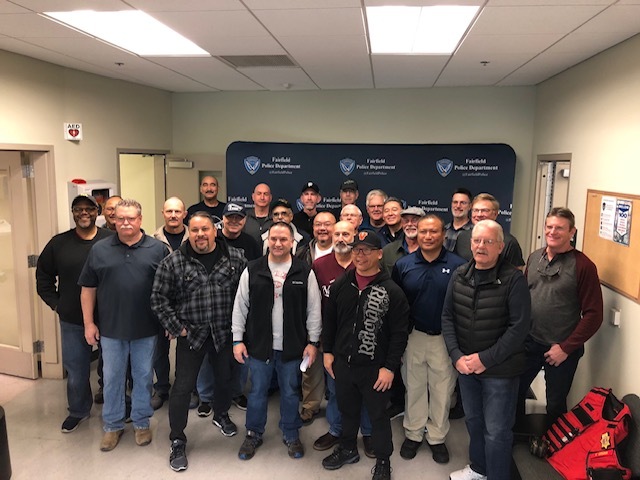 The 100 Club of Solano and Yolo Counties recently provided checks for $20,000 each to the families of Solano CHP officer Kirk Griess and Davis PD officer Natalie Corona. 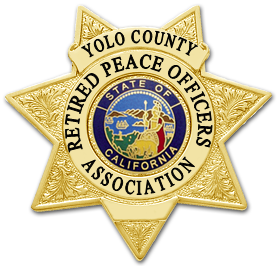 Come to the meeting on February 16th and learn more about both the YCRPOA and the 100 Club of Solano and Yolo Counties! Contact John Criste at jcriste@att.net for more information. Enjoying a reunion with Fairfield PD retirees at the first annual retiree shoot! Fifty years of Concord PD History at the Retiree CCW qualifications. 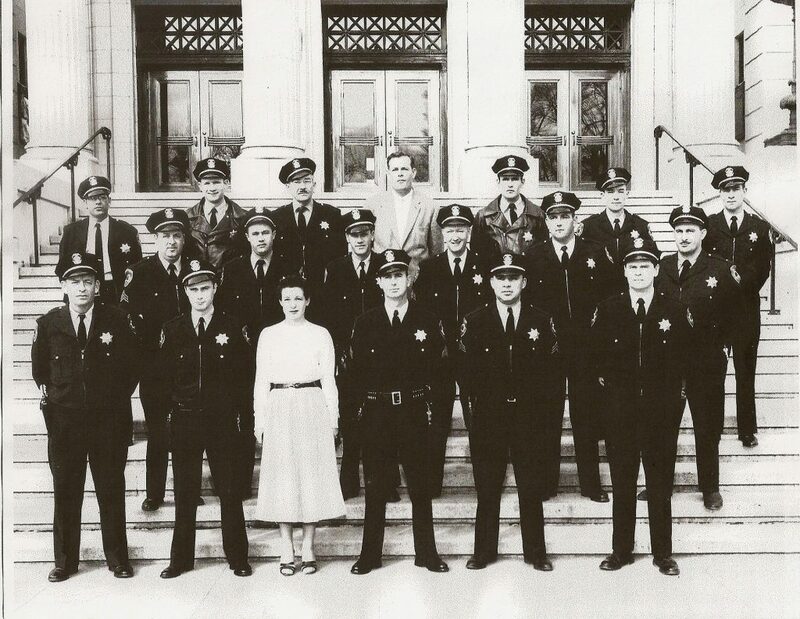 Front row – Left to right – Keith McFarland, William Conroy, Mary Pescaglini Gorman (married to YCSO Detective Lt. Jim Gorman), Sgt. George Dinsdale, Sgt. Ralph Lara, James Harper. Middle row – Left to right –Sgt. Lambert Blair, Ralph Troxel, William Blizzard, Sgt. Glen Barton, Delmar Frost, Lt. Ray Andreozzi. Top row – left to right – Ralph Bludsworth, Malcolm Cutts, Capt. Fred Martin, Chief Frank Elston, George Simmons, Joe Baker, Edward Moore.